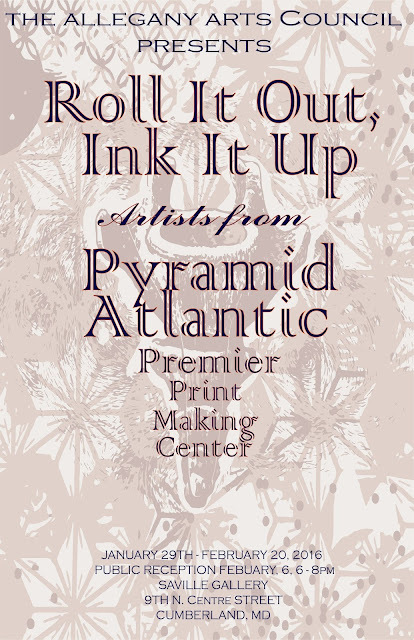 The Allegany Arts Council is hosting a show Roll It Out, Ink It Up at Saville Gallery in Cumberland (MD). The group show is a continuation of the exhibition Roll It Out!, which was part of the print symposium at Pyramid Atlantic Art Center (PAAC) in November. The exhibition showcased the work of demonstrators and speakers at the symposium. The same show is now on in Cumberland with the addition of a few more artists from PAAC. I am really excited to be part of this wonderful exhibition, in which I have three monotypes on display. I have been working on monotyoes since December, experimenting with both oil-based inks and acrylic paints. For the exhibition, I decided to show the ones made with acrylic paint. As a printmaking medium, acrylic paint is both challenging and satisfying. I like the painterly effect of acrylics, in addition to the texture and vibrant colours. On the other hand, the paint can dry too quickly while working. I plan to try acrylics with a retarder to see what results emerge. 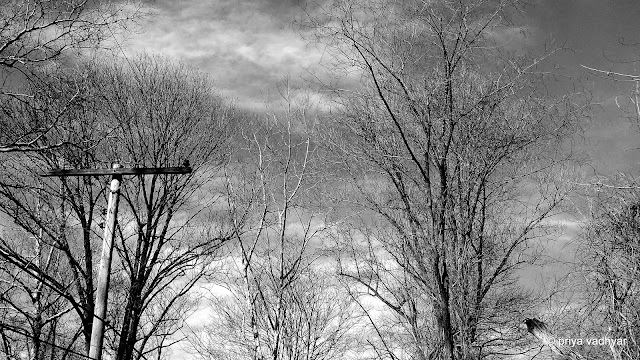 For now I am happy with the outcome, and glad that some of these experiments are part of the exhibition in Cumberland. 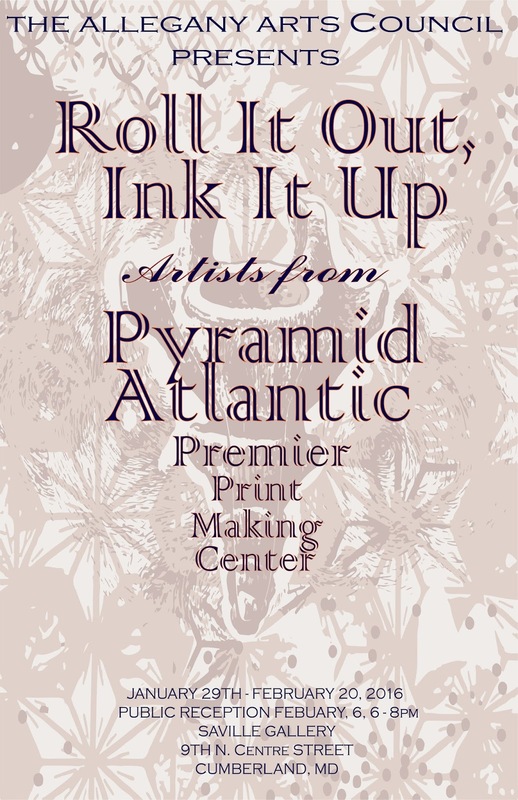 The opening for Roll It Out, Ink It Up is on Saturday February 6th between 6 and 8pm and is on until February 20th. Below are the details of the exhibition. 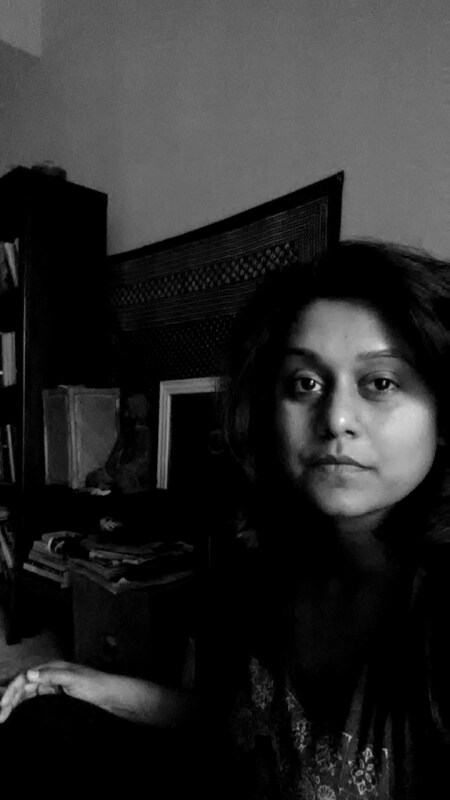 Congratulations Priya. I love your pieces! Have fun at the opening.